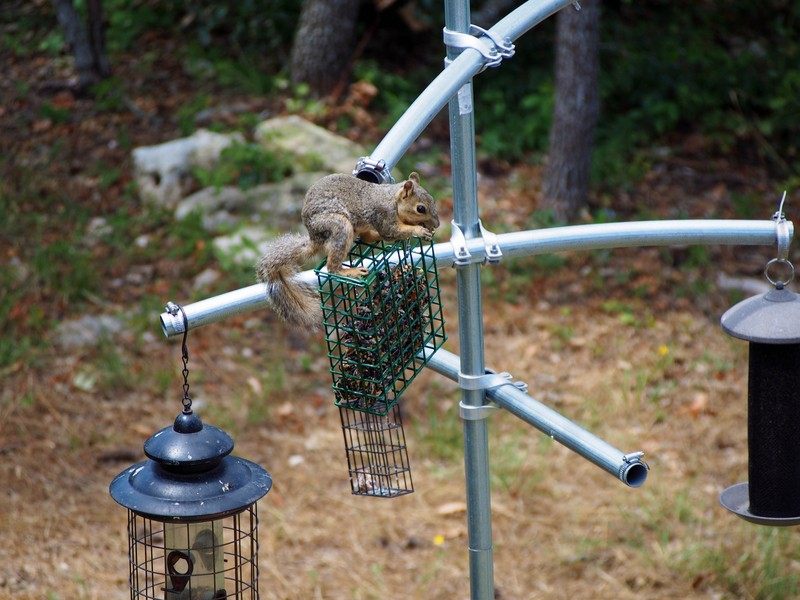 We had a furry visitor at the bird feeders yesterday. 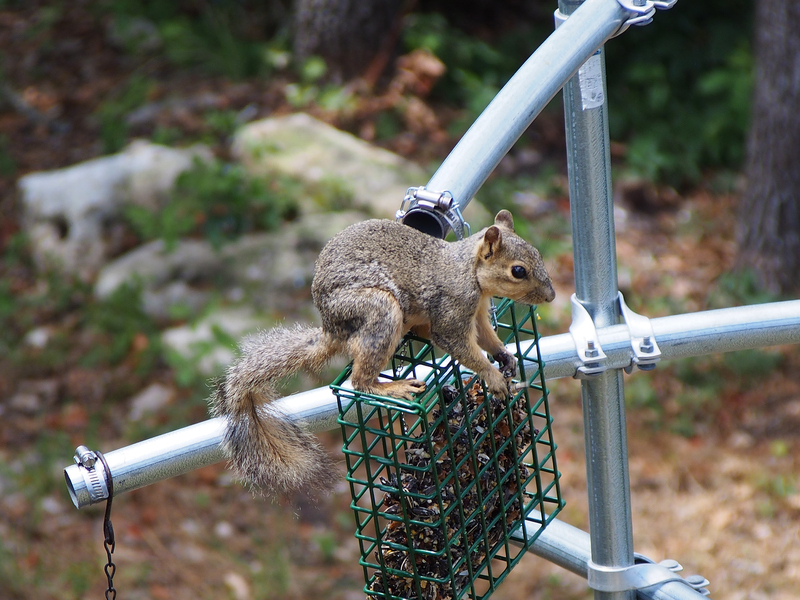 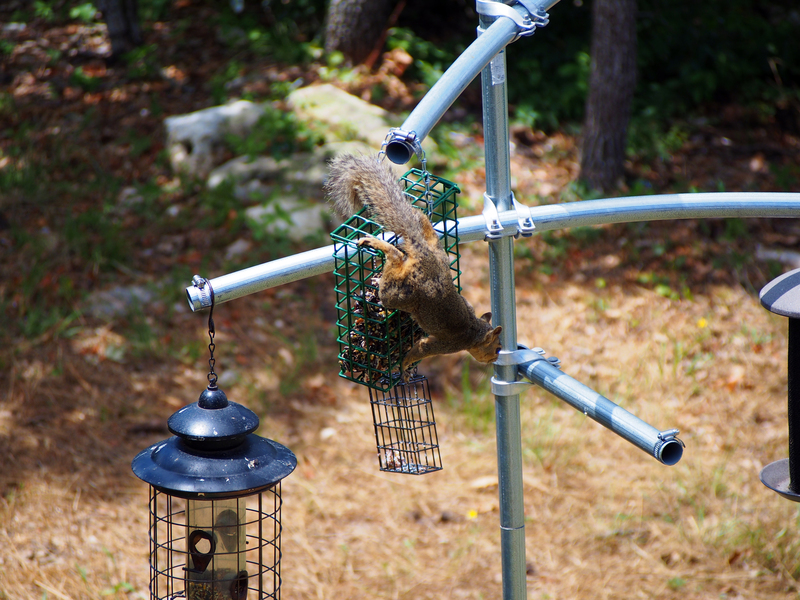 This young squirrel decided the suet block with nuts and seeds looked like a great breakfast buffet. 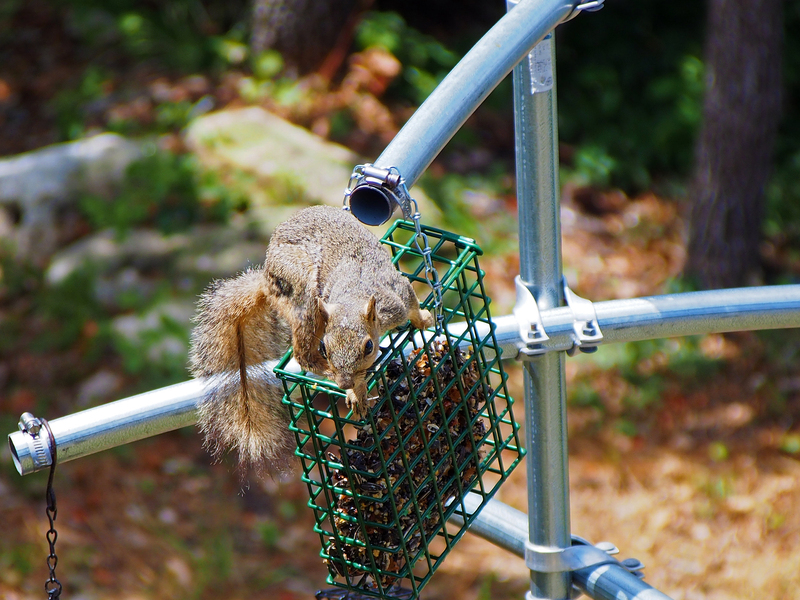 It must have realized the camera wasn’t a threat because it stayed there eating even after I called to it several times. 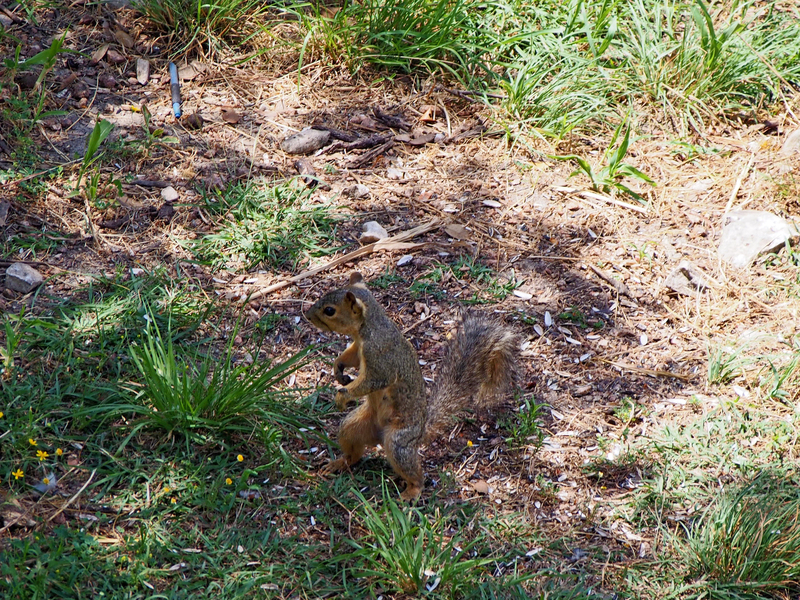 It darted looks at me a if to say “Wait, just one more bite”, then finally decided to leave when I moved closer to the porch railing. 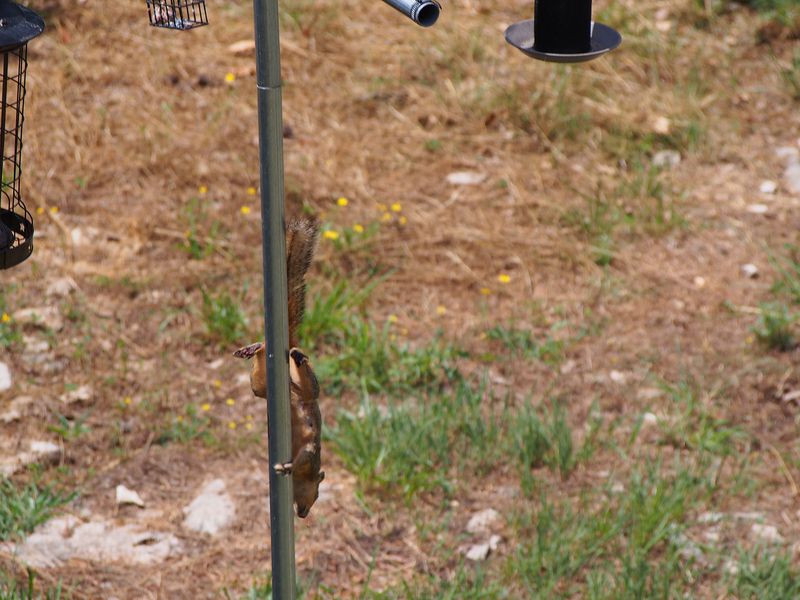 Squirrel running down pole. 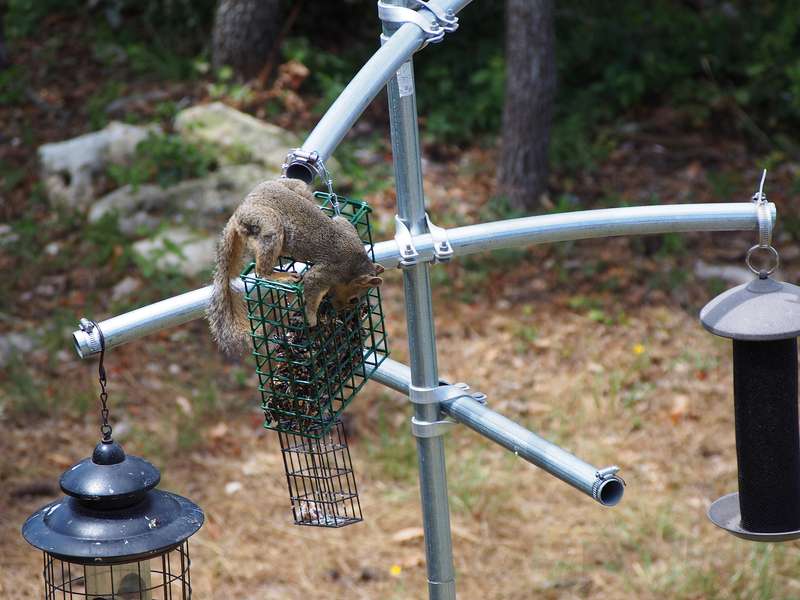 Rather impressive. 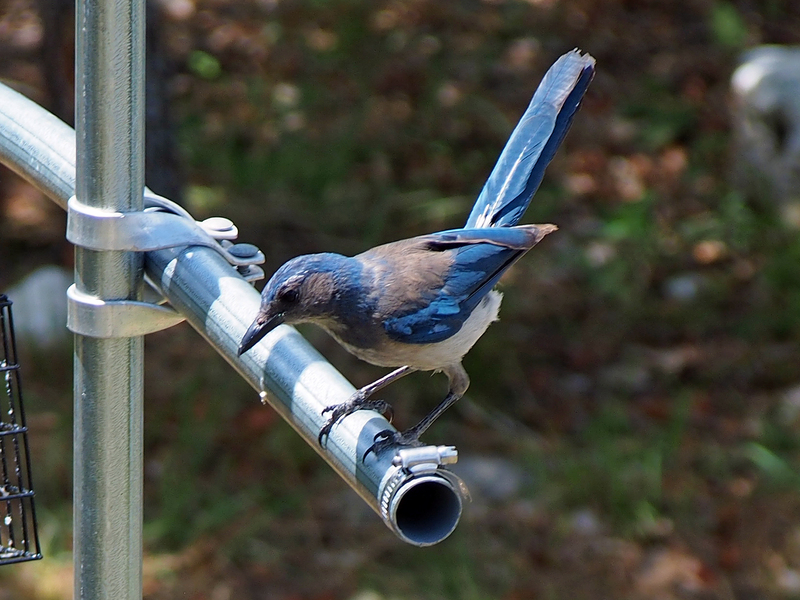 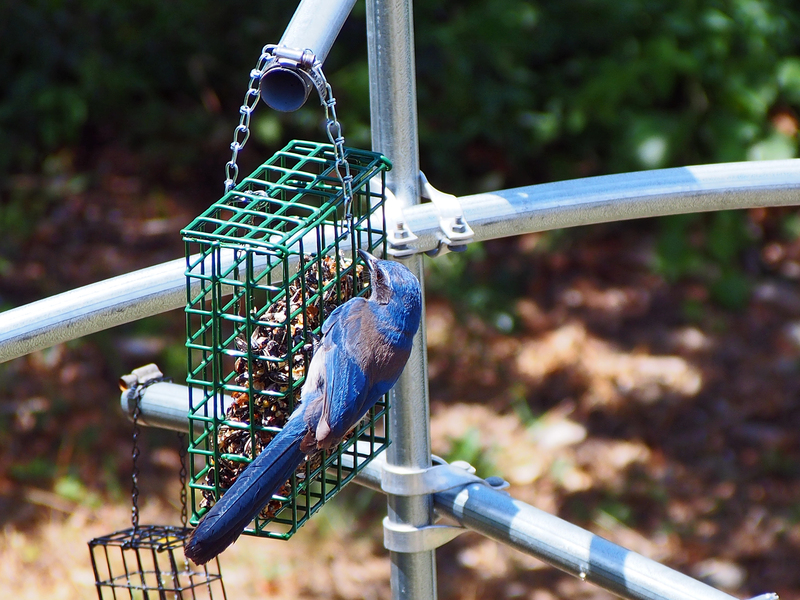 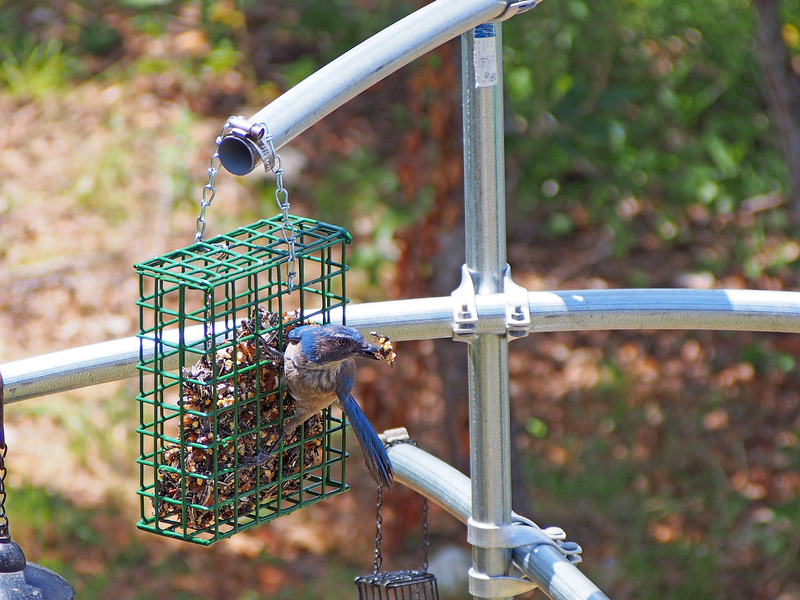 The birds were happy to see it leave, especially the Scrub Jay.